Transcribed by Steve Briody. 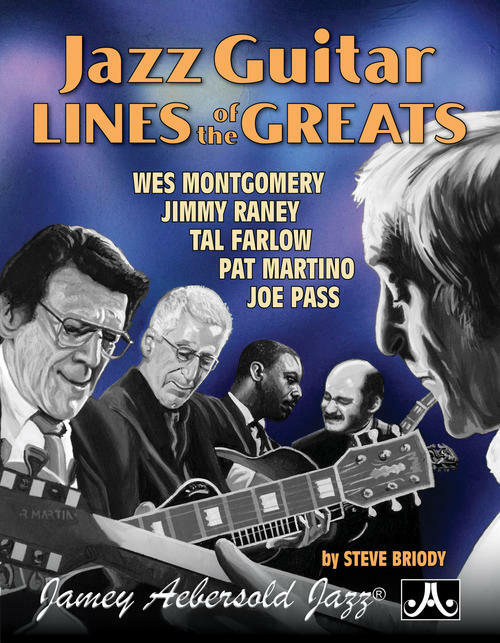 675 transcribed licks and phrases from 5 of the greatest Jazz Guitarists of all time; Tal Farlow, Pat Martino, Wes Montgomery, Joe Pass, and Jimmy Raney! The phrases are separated into five sections; Major lines, Minor lines, Major ii/V7/I lines, Minor ii/V7/I lines, and Dominant 7 lines. 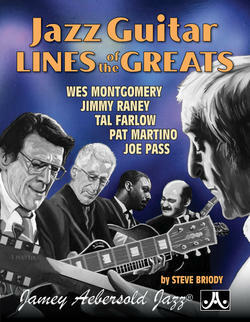 These "textbook" jazz phrases are perfect for all instruments, not just guitar. Over 100 pages. Spiral bound for easy opening. ISBN: 978-1-56224-273-2.